Home Viral Enga Veetu Mapillai Show To be Discontinued..? Enga Veetu Mapillai Show To be Discontinued..? Enga Veetu Mapillai is a Marriage reality show which is getting telecasted in Colors Tamil Channel. 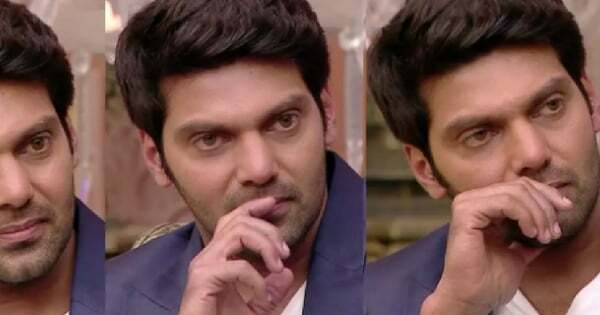 As per the program, the winner of this reality show “Enga Veetu Mapillai” will marry Actor Arya. This is the first time a Marriage reality show is being conducted in the Tamil television industry. Arya being the Groom of the show will select his soulmate from the 16 contestants who are participating in the show. The show failed to grab the attention of common people but many activist raise voice against the show stating that this show is only created to raise the popularity for the channel and this show may have a bad impact on the culture.Earlier there are multiple speculations running around the show now a recent reports suggest that there is an outbreak against the show stating it spoil the culture and traditional values.Some close sources to the channel report that the Enga Veetu Mapillai team is planning to discontinue the show soon. This decision is taken because of that the show failed to grab public response and also due to the voices raising against the show.